The Washington Wizards will begin their West Coast road trip on Monday night at 10:30 PM Eastern time. They will take on the Portland Trail Blazers. The Wizards are still looking for their first win of the season as they are coming off of two tough losses to the Miami Heat and Toronto Raptors respectively. The Wizards have been very susceptible to blow games in the past, and this West Coast road trip is a big one in that regard. They will be playing all kinds of teams, from championship contenders, to middling teams and bottom-feeders. So, the Wizards will be tested during this West Coast trip and they will have to find ways to get players open shots. After they face Portland, it’s off to Golden State to take on the two-time defending champs. Then, they close out with winnable games against the Kings, Clippers, and Grizzlies. Those games are easy to overlook but the Wizards will be on tired legs. So, depth will be crucial during this trip. It is going to take every single Wizards player out there on the court to beat Portland tomorrow. A win on the road would be a great way to kick off the West Coast road trip. It would get them on the board and would make a statement to the rest of the league saying that they are not done. Let’s just hope that this road trip goes better than the first couple of games. Some good things have came out of playing Portland. A prime example of this is when Bradley Beal went off for 51 points on December 5, 2017. 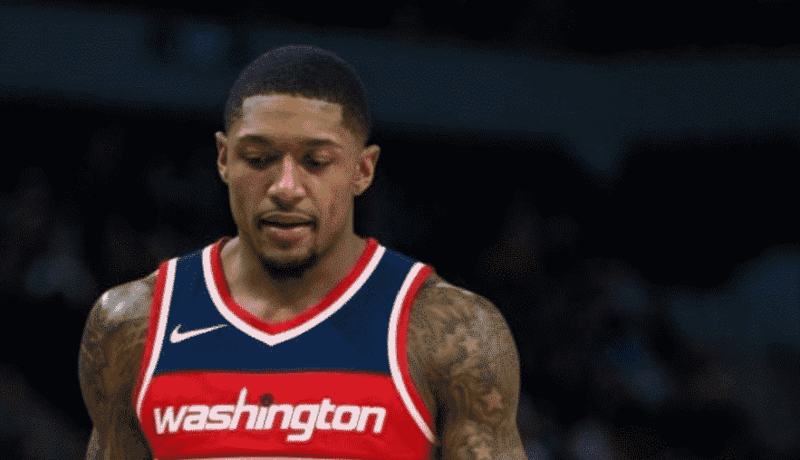 Hopefully, Beal can carry on the momentum from Saturday’s game against the Toronto Raptors as he was one of a small few that showed effort that night. Dwight Howard will sit out the game against the Trail Blazers. He did not make the West Coast trip with the rest of the guys and for the time being, he is staying in DC, recovering from his buttock injury. There is a chance that Dwight could come back during the 5-game road trip but it is unlikely. The earliest date to expect a return is on November 2 against the Oklahoma City Thunder.